One of the most successful Land Rover vehicles ever made, the Range Rover Evoque, makes a further leap forward with the introduction of a host of new technologies. These enhancements lower fuel consumption by up to 11.4 percent and reduce CO2 emissions by up to 9.5 percent – depending on model – and bring a range of new comfort, convenience and connectivity features. Customers ordering vehicles from the 2014 range, on sale in quarter four 2013 in the UK, will benefit from newly-available features, including: a new 9-speed automatic transmission, new driveline technologies, seven new driver assistance features and detail design enhancements inside and out. First shown at the Geneva Motor Show in March, the ZF-9HP automatic transmission is among the world’s first 9-speed units fitted to a passenger car. It has an ultra-fast response time, described by ZF as “below the threshold of perception” and an adaptive shift programme that quickly matches the driving style. With a wide spread of ratios and improved efficiency, the new transmission delivers improved economy, reduced emissions, enhanced performance and greater comfort. 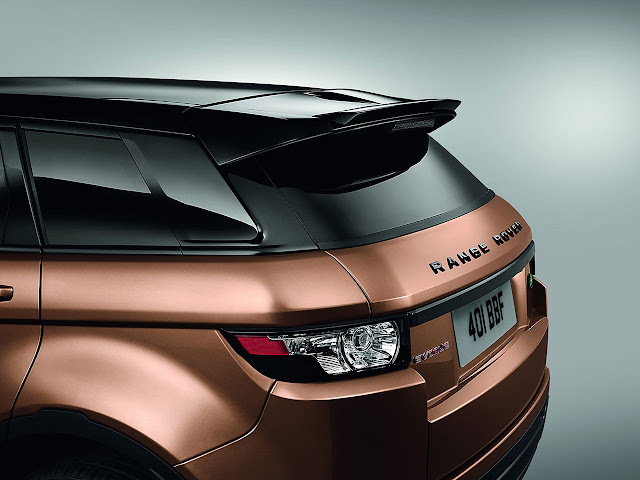 For the 2014 model, the driver assistance capabilities of Evoque are significantly enhanced by the introduction of features including: Park Exit (to automatically exit parallel parking bays), Perpendicular Park (to position the car centrally in parking bays), Closing Vehicle Sensing and Reverse Traffic Detection (to warn drivers of oncoming traffic), Lane Departure Warning, Traffic Sign Recognition and Wade Sensing. The brand new Land Rover InControlTM connected car system, available as an option, incorporates two new features – InControlTM Remote and InControlTM Secure. Land Rover InControlTM Remote allows owners to trigger an SOS Emergency Call which automatically informs the emergency services of the vehicle’s position, in the event of an accident. A button concealed behind a flap in the overhead console (to avoid accidental triggering), activates the system manually. A second button connects to Land Rover Assistance if the need for technical assistance arises. 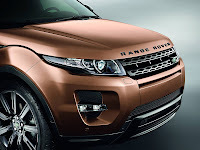 Land Rover InControlTM Secure tracksthe vehicle in the event of a theft using advance tracking technology. It raises a silent alarm at a secure operating centre where a third party service provider will assist the relevant local authorities in a timely recovery of the vehicle. The system ensures the vehicle complies with the Thatcham Category 6 standard. Available as an option, Active Driveline, is the world’s first ‘on demand’ four-wheel drive system which enhances agility and improves fuel efficiency by operating in front-wheel drive only during steady-state driving at speeds above 22mph. The new system monitors vehicle dynamics and automatically reconnects four-wheel drive (within 300 milliseconds) whenever it is needed. Active Driveline also features Active Torque Biasing with electronic-Diff (e-Diff) technology to distribute torque between the rear wheels, optimising traction and stability. Active Driveline will be available initially on the Si4 petrol engine. In addition, a Torque Vectoring by Braking feature, available across all powertrains, further enhances agility and safety by redirecting torque between all four wheels to counteract understeer. 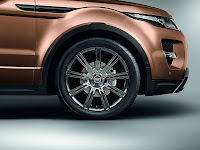 It features in both the Active Driveline and the Evoque’s standard four-wheel drive system. 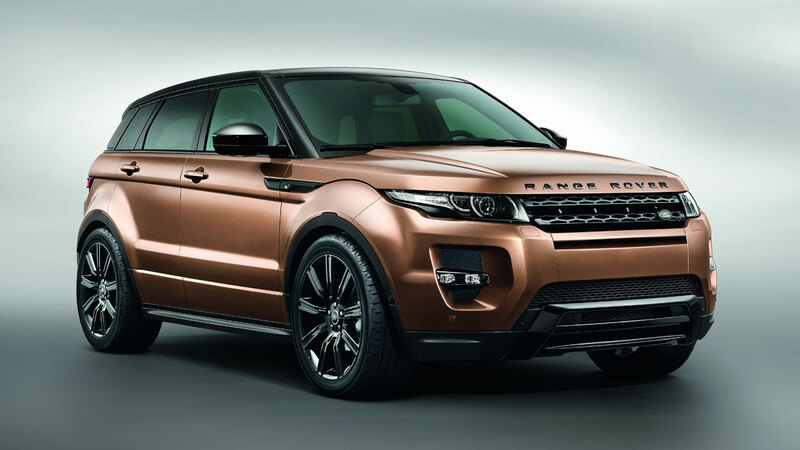 “With global sales of more than 170,000 vehicles in just 18 months, the Range Rover Evoque has proven to be hugely successful and the 2014 model is destined to have even greater appeal. We are thrilled to be moving the Evoque on to the next stage and believe the exciting new driveline technology, driver safety and convenience features plus the Land Rover InControlTM connectivity capability (using advanced mobile technology to keep owners connected with their vehicle, their world and Land Rover services), make the 2014 Evoque an unbeatable choice for customers seeking the ultimate in compact SUV vehicles,” said Land Rover Global Brand Director, John Edwards. 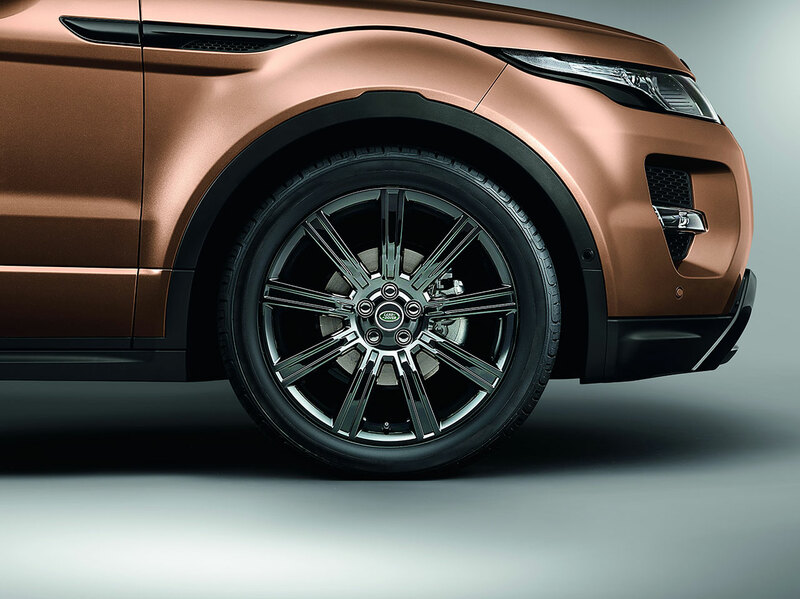 In addition to the new technologies, there are detail changes to the Evoque’s exterior, new colour options for the interior, four new alloy wheel styles and a new style of Land Rover badge on the grille, wheel centres and tailgate. The 2014 Evoque continues to be powered by Land Rover’s range of economical and light weight four-cylinder engines with a choice of either the 2.2 diesel 150PS engine, 2.2 diesel 190PS engine or 2.0 Petrol 240PS engine (depending on market). With the new 9-speed automatic transmission and Active Driveline, fuel economy (for EU-5 compliant vehicles) is improved by up to 11.4 percent and CO2 emissions are reduced by as much as 9.5 percent. Combined fuel consumption for the 2014 range is up to 57.6 mpg, with CO2 emissions starting from as low as 129 g/km.